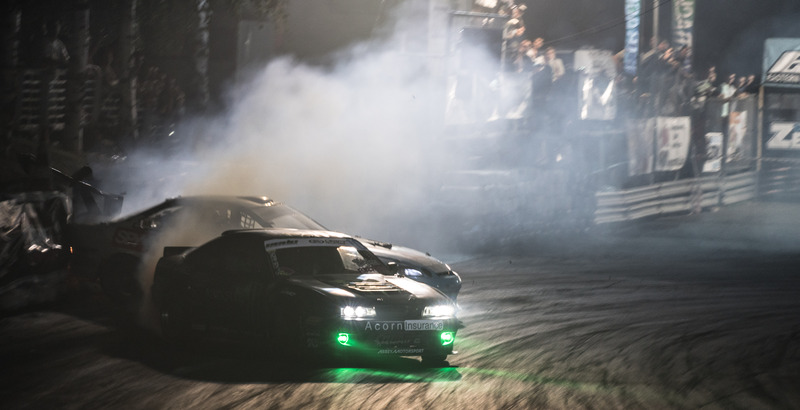 The final round of the Drift Allstars Championship was held at Mariapocs circuit in Hungary. This was my first time ever in Hungary and I didn’t know what to expect. 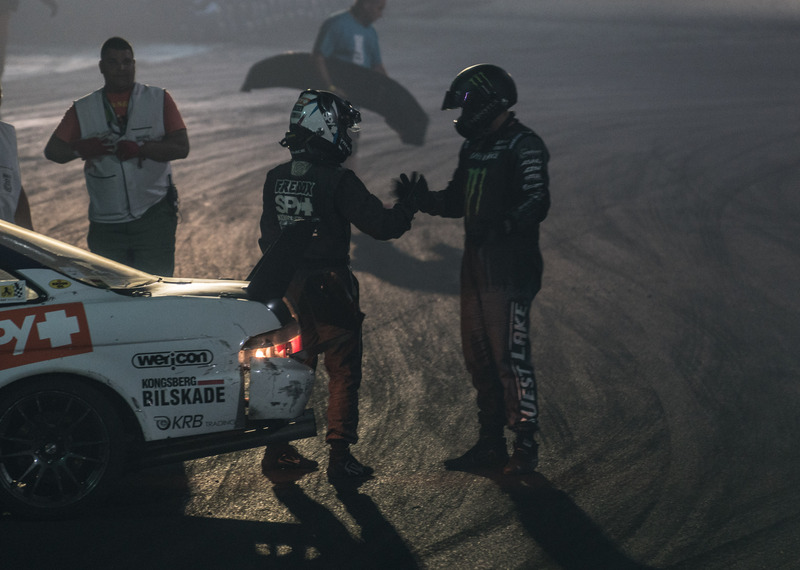 Before this weekend I had watched a lot of videos and pictures of the track and previous drift events to try to get as good knowledge as possible. I knew that top 32 was going to be held in the nighttime when it’s dark and a lot colder. Friday was just a practice day, getting us to know the track and the other local drivers. It was a fun track, lower speed then Riga and Germany, but it felt like drifting in the forests and on old street roads. With 4 outer clip zones, 3 of them close to walls, made the perfect qualifying line hard to get 100 percent. Saturday morning was a short practice session right before qualifying. We faced an issue in that practice session, but nothing my mechanic Marius Fossheim couldn’t fix! That resulted in less practice than I wished for, but we couldn’t do anything about it. Qualifying went really well. 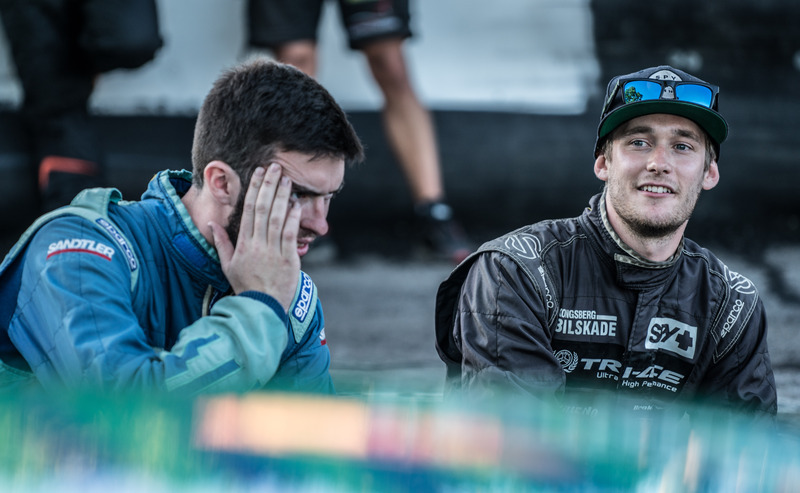 We locked in two great runs giving us a 3rd place qualifying, 0,3 points behind Andrius Vasiliauskas and only 1 point behind first place qualifier James Deane. I was really happy since this was my best qualifying this year. We got a walkover in top 32 since my opponent withdraw because of technical problems. In top 16 I met Sak Sergei and after he hit me twice and a OMT battle we got the win. Steve Baggsy Biagino was our next battle in top 8. This year Baggsy has showed to be really good and I knew it wasn’t going to be an easy walk. We started off and I had a great lead run, but coming into the chase position I knew I had to push it. Entering the second last corner I pushed hard on his door and as we both went wide he had to correct to not hit the wall. I needed to correct myself and ended up oversteering and that forced me into the wall. It wasn’t a loss easy to take, but we will work even harder in the future to reach our goals! I’m not letting a wall stop me, I’m still going to push hard and one day we will be on that podium! Official results from this weekend gave me a 5th place of 42. Overall I’m happy!